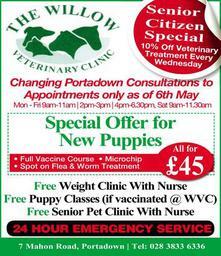 THE WILLOW VETERINARY CLINIC - Established in Portadown for 10 years we have outgrown our original building and have recently completed our new purpose built clinic. 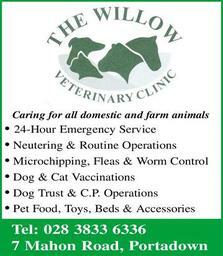 A branch practice was opened in Markethill in 2006 to help service our ever expanding Farm animal & Small animal clients. 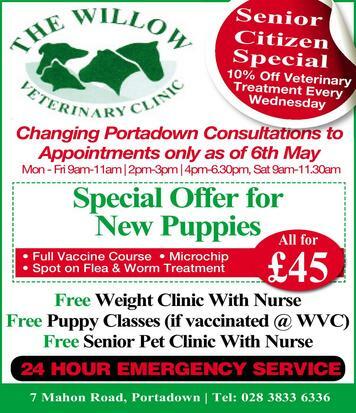 Our experienced team of vets, nurses, and office staff are committed to working with clients to provide the very best health care for your animals in a friendly and caring environment. 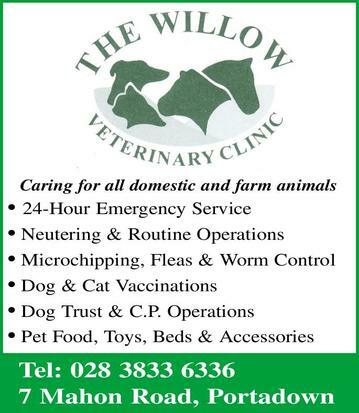 We are a mixed practice with 5 vets serving our large animal & equine clients and 2 vet and 3 nurses caring for all of your pets.